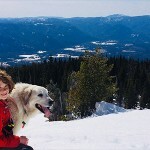 Home » Stewardship » Where Are Our Treasured Landscapes? Over the past few years, The Friends of Scotchman Peaks Wilderness have worked hard with the National Forest Foundation and US Forest Service in the NFF Treasured Landscape of Lightning Creek. We will be continuing our work this year with projects focused on invasive noxious weeds monitoring and white bark pine restoration. See below for more details! Have you visited this Treasured Landscape recently? The area is well known as a backyard paradise by local residents, as well as an easy-access yet spectacular destination spot for regional tourists and recreationalists. You can help make a difference in our efforts to restore and improve the Lightning Creek drainage by donating to this cause or volunteering your time and energy! Participating as a volunteer with the Treasured Landscapes Campaign has several benefits: personally, socially and environmentally. You will become a member of a unique and widely recognized group of citizen scientists who help continue our wilderness land legacy. Your work will directly help the forests and critters that call it home. Your actions will benefit local communities, through increased recreation and tourism opportunities. You will also find as you work in the wilderness that you begin sculpting a personal relationship with the land, creating that very necessary human connection to the land that ‘modern-day’ society tends to remove us from. Your efforts will be inspiring to your friends and neighbors, as well as to the rest of the country. As a stewardship organization, our work is cutting-edge in current natural resource management practices. To find out more about this campaign and other stewardship projects, email trails@scotchmanpeak.org. 2013 and 2014: Success stories. The Lightning Creek drainage complex, residing largely within the proposed Scotchman Peaks Wilderness, is an area known for its dramatic thunderstorms and historic flood regime. Outstanding peaks top the landscape; their steep mountain slopes funnel snowmelt and rainfall rapidly through Lightening Creek into the Clark Fork River floodplain, finally opening into greater Lake Pend Orielle. It is home to flourishing plant and animal communities fostering critical habitat for threatened species, such as the federally protected grizzly bear. The recreational opportunities provided by this landscape allow for remarkable summer and winter outdoor experiences as well as breathtaking scenery. In 2006, devastating floods occurred throughout the drainage. Several area trails were obliterated and degradation of the landscape was accelerated. The event triggered a spark within the the Idaho Panhandle National Forest (IPNF) Sandpoint Ranger District to restore and improve this cherished, multiple-use landscape. By 2012, The National Forest Foundation (NFF) awarded the Lightning Creek Drainage with designation as a Treasured Landscape, one of only fourteen such awards made across the country. 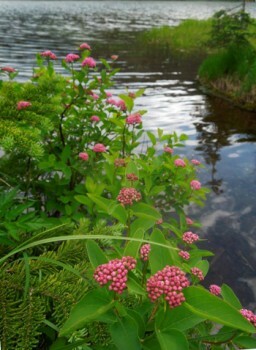 The Treasured Landscapes, Unforgettable Experiences project is a national campaign to restore unique and valuable ecosystems across the United States at a local level. 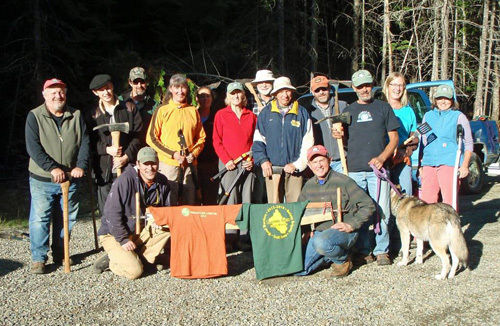 The NFF is a congressionally chartered non-profit organization which strives to connect local communities with their national forest lands through restoration and stewardship of their public lands. 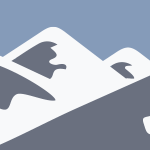 Because the Friends of Scotchman Peaks Wilderness (FSPW) volunteers have an incredible record for their volunteer work in the wilderness, the NFF discovered a great partner in our organization’s engagement with this campaign. In 2013, FSPW began organizing members of the community and partnering conservation groups, such as the Idaho Master Naturalists and Kinnikinnick Native Plants Society, in order to accomplish restoration goals set forth by the Treasured Landscapes campaign. 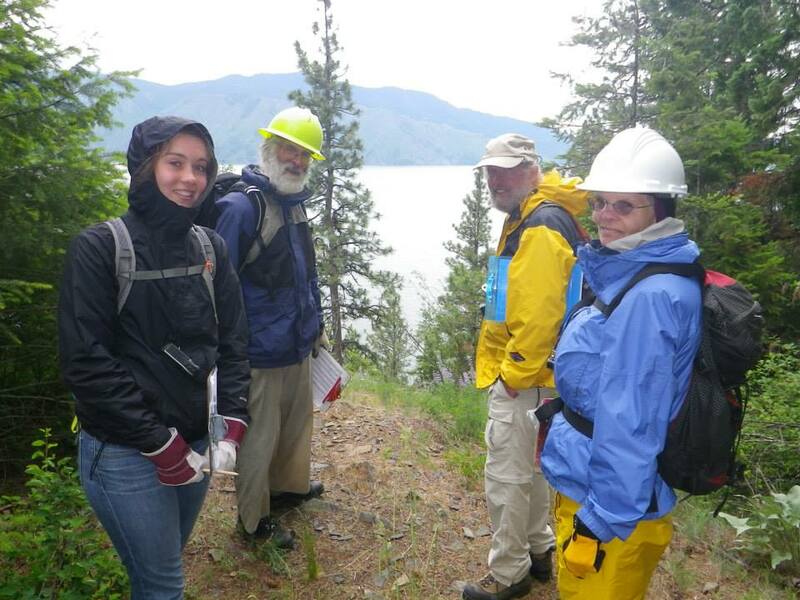 Throughout the summer of 2013, FSPW volunteer stewards, in partnership with the NFF and United States Forest Service (USFS), completed on-the-ground actions that advanced progress toward achieving Treasured Landscape project goals. FSPW volunteers assessed several national forest trails for noxious weed invasion due to flood disturbance, high elevation forests for headwater ecosystem health, Trail #65 for trail reroute options to mitigate runoff erosion, 3 high elevation wetlands for degradation and sensitive species occurrence, and performed trail repair on Morris and Mud Creek trail washout sections from the ’06 flooding. By the fall of 2013, FSPW volunteers had mapped invasive species occurrence on 22 miles of trail in the drainage, assessed 3 high elevation wetlands for sensitive species occurrence, surveyed 3500 acres of high elevation forests for forest health and sensitive species, began trail reclamation on two washed out area trails, and analyzed and marked re-route options on trail #65. Click here for links to photos and publications regarding this project. In the spring of 2014, local weed expert and self-proclaimed weed annihilator Kenneth Thacker was awarded the contract for chemical treatment of the areas FSPW volunteers documented in 2013. This is quite a task for one person, even if it is someone as capable as Mr. Thacker, so our volunteers were back on the trails for Treatment Efficiency Reconnaissance. FSPW Volunteer Wilderness Stewards have ‘reconned’ over 40 miles of trail. 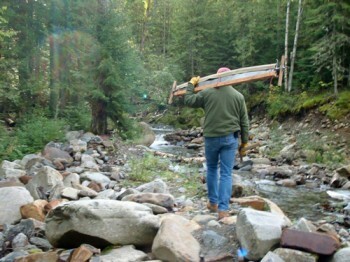 As a part of a restoration effort occurring in the Lightning Creek “Treasured Landscape” on the Idaho Panhandle National Forest and Scotchman Peaks Roadless Area, USFS Specialists are researching potential whitebark pine forest management activities to help sustain these forests for the ecological benefits they provide. To support this endeavor, FSPW Volunteer Citizen Scientists attended two field events with the USFS Botany crew in September 2014. 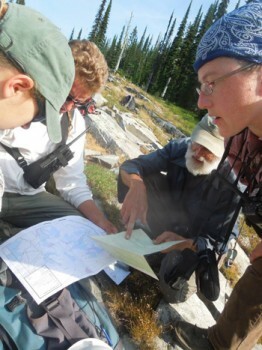 Together the crews assessed subalpine forest environments above Moose Lake, Quartz Creek, and Falls Creek. They looked at the amount of trees present, their size, health, and potential cone bearing individuals with genetic resistance to problematic tree diseases. Reaching these sites and performing such reconnaissance is often a substantial undertaking, as the distance required to reach them is long, and the terrain challenging. Without volunteer assistance, the costs associated with conducting such research would be greatly increased. FSPW and USFS’s cooperative partnership in this restoration work is allowing for many acres of additional ground to be covered. The last action in 2014 was revegetation along Mud Creek Trail. Several areas along the trail were being compromised by erosion from spring and stream runoff, a problem exacerbated by the severe flooding event that occurred in the area a decade ago. When these 1st through 3rd order tributaries intersect the trail, they erode the trail at those crossings, deteriorating the trail conditions, and eventually leading to tread loss.USFS personnel surveyed Mud Creek trail and decided on those locations most in need of bank stabiliztion. The USFS Botany crew gathered softwood cuttings (Snowberry, Thimbleberry, and Red Osier Dogwood) in May, 2014, that they handed over to their greenhouse operations in Coeur d’Alene to condition throughout the summer. In October, those cuttings found a new purpose along this scenic trail in the Lightning Creek Treasured Landscape. FSPW crews were outfitted with enough plant material to revegetate a good portion of the first 2 miles of the trail.